As the capital of the Zhejiang province, Hángzhōu houses the political, cultural and economic centres that attract visits from throngs of tourists and would-be-expats. The history mentioned how Marco Polo generously praised this city: "Beyond dispute the finest and the noblest in the world." Hángzhōu's most popular site is the West Lake, which is comprised of one hill, two causeways, three man-made islands and five lakes. The panoramic view is just spectacular that has garnered homage from emperors, scholars, poets, and national heroes since ancient dynasties. Located in the Yangtze River Delta and on the southwest reaches of Shanghai, Hángzhōu enjoys a moderate climate with four distinct seasons. Summers are typically hot and humid while winters are cool, dry and bearable, making it a favourable destination all year round. But aside from being a tourist destination, Hángzhōu's districts are fuelled up to attain economic success; Xiaoshan district serves as the transportation and distributing hub of the province. With more than 12,000 industrial zones for light textile, dyeing and garments, it ranks 7th among China's Best 100 Counties and first in terms of economic growth. The total population is at 12,385, 000 and the city has an employment rate of 70%, another factor which attracts expats to relocate to Hangzhou. Yuhang district, dubbed as "the land flowing with milk and honey, the place of flower and fruits, the source of silk and tea and the state of cultural relics," takes pride in the success of their major industries such as the service industry, construction industry and agriculture industry. 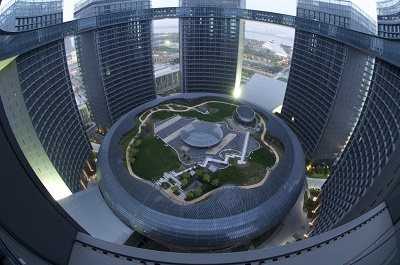 The district of Shangcheng is the pillar industries that comprise of food and beverage, home appliances and machinery and electronics while Xiacheng district attracts businesses in culture, scientific research, journalism and finance. For the district of Gongshu, manufacturing, metallurgy, electronics and other industries are at full throttle while adhering to environmental protection policies. Aside from being home to the renowned West Lake, Xihu district boasts of its metropolitan agricultural development and ecology-friendliness. Other significant district include Fuyang's for paper-manufacturing, light textile, biochemistry and telecommunication equipment, Lin'an as the hometown of Chinese Folk Calligraphy and Painting Art, Tonglu for its manufacturing bases of ballpoint pens and exporting base of bee products, Jiande as a paradise for tourists and businessmen and Chun'an, which currently focuses on water industry and sets priority to develop further the high-tech industry. Just like anywhere in China, the haggle-friendly day shops and even cheaper night markets will make you rethink about bringing your entire closet. To bring an empty luggage and fill it up in Hángzhōu sounds like a good plan. However, the Chinese are in smaller frame and this means most items may be too small by Western standards. Make sure to bring your favourite pieces or have new ones tailored to local stores. This also applies for first aid kit and medicines; the ones sold in Hángzhōu are in written in Chinese characters. Expats should take up a few lessons of Mandarin, this is a good start to learn the ropes and make new friends. A recent study shows that Hángzhōu is China's second happiest city, next to Chengdu in Hebei, and with friendly residents, along with the beautiful sceneries and employment opportunities, you know you've come to the right place. Once you laid your eyes on this city, you will immediately understand why it has always deserved the words of many poets since the 19th century. Hangzhou is the capital of Zhejiang Province which is widely envied for its breathtaking sceneries that are almost perfect they look like real life paintings. It is also the home of the famed West Lake which is one of the most visited tourist destinations in the country. But aside from the many natural beauties it possesses, Hangzhou is also a magnet for expats who are looking for the greener pasture in Asia because of its rapidly growing economy that provides employment in large industries like information technology, telecommunications and household appliances manufacturing. Here are some helpful tips that can help you make a smooth transition to one of the most prosperous cities in China. Most expats take a visit to the country before relocating to get a feel for the environment. But if you don’t have the luxury of time and budget, you can browse through online portals to check the real estate properties in Hangzhou. Owners usually post photos, locations and prices of their rentals which will give you some idea about the city’s housing market. Also, if you are not yet fluent in speaking Mandarin, it's better to hire local English speaking realtors to help you transact with the landlords. Just be very specific about your needs and how much you are willing to spend for the rental so they can give you the best options. The average monthly cost of your utilities in Hangzhou is €50 which includes the water, electricity, gas and garbage collection. You can also apply for an internet connection once you get settled which can cost you around €15 per month while local mobile calls are billed €10 per minute. Hangzhou International School is the leading international institution in the city which provides education to a majority of expat children. Most parents choose to enrol their kids in international schools since they will be among other foreign students who can help them adjust faster to the environment. You can also consider some of the prominent local schools like the Zhejiang University founded in 1897; China’s oldest and most prestigious university. Asia is a very distant land especially if you are coming from the west, and the last the that you want to find out is that you left something behind or you can't keep track of the delivery of your belongings. To make the moving process bearable, it's better that you seek help from international shipping and removal companies who provide door to door service to Hangzhou. These experienced professionals will hold your hand the entire time until your precious belongings are delivered safely to your doorstep. It takes a month for the containers to reach the Port of Ningbo, but the timeframe will still vary depending on your country of origin. Follow this link to know about the city’s import regulations. It is not necessary that you put a microchip on your pet as a form of their identification, but you are required to provide the original Rabies Vaccination Certificate declaring that it received a vaccination at least a month and not more than a year before arrival to Hangzhou. You also need to present a Veterinary Certificate for China stamped and endorsed by your government along with your passport which matches the owner’s name on your pet’s certificates. Local customs officers will base the quarantine period on your country of origin, but the average mandatory time is 7-30 days for all animals entering Chinese territory. It is very rare for a highly industrialised and technological city to maintain its natural beauty, but Hangzhou was able to. It is still the same alluring place that Marco Polo saw in the 13th century and called as “one of the most splendid and luxurious cities in the world”. 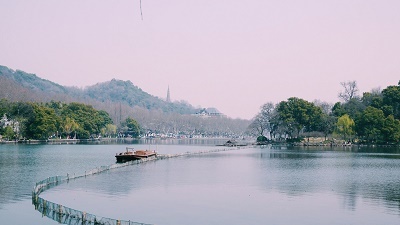 With its undeniable natural beauty and picturesque scenery, it’s no doubt why the famous Venetian traveller Marco Polo described Hangzhou as “beyond dispute the finest and noblest in the world”. This city with a total population of 6.2 million people is now one of the most sought-after destinations in China. Hangzhou or romantically pronounced as Hangchow is the capital and most populous city of the Zhejiang Province. Nicknamed as China’s “Paradise on Earth”, the city is popular among foreigners for its subtropical monsoon climate and its tourist destinations including the world’s longest human-made river, the Grand Canal. Expats would love to live in the fourth-largest metropolitan city in China for its historical sceneries and its relaxed lifestyle. Expat parents who have long introduced their kids to Chinese paintings will find it lovely to bring their kids to the West Lake. A must-see attraction, kids, would enjoy renting a bike and cycling around the lake. Others even take a boat on the lake while they tell stories to their kids such as the one about the White Snake. There are far too many activities for kids to enjoy when expats live in Hangzhou. Kids would also love to spend their weekends on Hangzhou Paradise Park. They will enjoy visiting the Adventure Island, Rafting River, Moon Slope, Water Park and the Jungle Party. Hangzhou is famed for its extensive selection of markets where locals and expats can buy all sorts of products. One of the most famous in this city is the Wushan Night Market situated in the north-south of Huixing Road. Foreign nationals who want to unwind or shop after a day’s work can head to this area which is filled with stalls that sell foods, clothing, shoes, handicrafts, handbags, luggage and a variety of trinkets and knick-knacks. Another place that is overflowing with local products is the Yanan Road which is considered as the “Number One Street in Hangzhou”. This three-thousand-metre-long street has been converted into the city’s top and busiest commercial market. Though there are many great finds in Yanan Road, expats shouldn’t miss buying the famous Hangzhou Longjing Tea, the best tea in China known for its unique green colour, fragrant aroma, flat appearance and sweet taste. Many expats prefer to open an international account in Hangzhou especially those who still have an existing account back in their home country. For expats living in the city, they must understand that opening a bank account is a bureaucratic process in China plus the difficulty of conversing with locals. To alleviate the stress, it would be best to seek assistance from a native speaker. Some of the known banks in Hangzhou are the Hangzhou Bank, Bank of East Asia, a branch of the Bank of Shanghai and Bank of China. 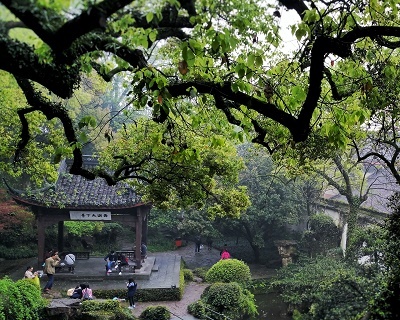 The Wu dialect is the language of the native residents of Hangzhou. The biggest hurdle an expat living in Hangzhou may encounter is the language barrier. Getting them acquainted with the culture and speaking to other expats living in the city is advisable. Immersing themselves in the culture and visiting historical sceneries, museums such as the China National Silk Museum near the West Lake, Zhejiang Provincial Museum and China National Tea Museum can be a breath of fresh air. It is also worth noting that most roads in Hangzhou are very busy and with no traffic lights for the pedestrian. Always be careful when walking the street and don’t forget to stay extra vigilant to avoid getting hit by a car. Though this city is regarded as one of the safest places in China, newcomers should still be aware of thieves in the streets. Pickpocketing is quite common particularly in public areas and expats that have a ‘touristy vibe’ are a magnet to the bad guys so try to blend in with locals and keep your belongings close at all times.